There are so many gorgeous flowers, many with scents as or more alluring even than their blooms. There are the stalwarts of fragrance; rose, iris, orange blossom, tuberose, jasmine, lilac, peony, ylang, lavender and carnation. The less often used but just as gorgeous narcissus, marigold, violet, lemon blossom, champaca, apple blossom, orchid, lotus, belladonna, chamomile, hawthorn, hyacinth and myriad others. Though not in all, or even some, of the perfumes I love. Narcissus is my favourite. It’s dark, pungent, ferocious scent in its pure form is both intoxicating and repellent. Once diluted and added to other notes it loses some of the poisonous qualities and chills out. Suddenly narcissus is enticing, lilting, fun and just a little devilish. What Is Your Favourite Floral Note and Why? beauty, Caron, CB I Hate Perfume, Fashion, Fragrance, Hermes, L'Occitane, Niche, Penhaligon's, Perfume, Review, Reviews, Saturday Question, Saturday Question: What Is Your Favourite Floral Note and Why? I would have to go with Iris. Why? I have no idea but it rarely disappoints. I love its cold, steeliness, equally I love its warm elegance. From time to time my tastes may wander off in a different direction buy I always end up coming back to Iris. I have a few of them around here but only Equistrius gets a LOT of wear. Hmm, it rotates. Right now it’s rose. But it has also been orange blossom, iris, jasmine and hyacinth in the past. So many ways it can be treated. This is a difficult question, I like some floral notes depending on what they are combined with, especially rose and iris. Not a fan of most soliflores. Or tuberose. Are there ANY soliflors with a very few bells and whistles you like? I had Prada Infusion d’Iris too. Lovely scent, so crisp. Narcissus, for precisely the reasons you listed. Love a note than can travel from pretty to filthy and back again. I was really enjoying the narcissus in Dryad yesterday, and Fazzolari’s Au Dela Narcisse is bloody gorgeous. I can’t believe I’ve never tried Narcisse Noir. Rose, and I didn’t get along with her in my beginning perfumista days at all. She is closely followed by iris, hyacinth, orangeblossom, mimosa, ylang-ylang, hawthorn and narcissus though and once in a while swops places with one of them especially iris. I am wearing Ce Soir ou Jamais. Isn’t Ce Soir ou Jamais divine Hamamelis? I rarely get mine out but adore it when I do. It depends on the season and mood, at the moment Iris as well. Very hard question for me. I love iris but I don’t think I have found the perfect iris. Violets and rose are very nostalgic for me, lots of memories associated with them. But to pick a single note I enjoy anywhere I smell it, probably orange blossom. Ahhhh, I love OB too. Do you like Seville a l’Aube’s treatment of it MMKinPA? This is too hard!!! WAY TOO HARD – LOL! Right now I am really enjoying lilac because for me it’s a harbinger of spring (and it’s the most dominant note in my custom blend Brigitte). In the past I have loved lily of the valley and violet notes. However, I also like orange blossom and have recently discovered that I enjoy orris root. See? too hard to pick just one. Wait a minute…does lavender count? I adore lavender!!! It’s so peaceful and so beautiful and it reminds me of our yoga teacher of 11 years. and it’s probably in just about every fragrance to bridge the top to the mid notes. Yes, lavender, how could I forget ?! and marigold and champaca…yes to those too because they are unusual and when done well so absolutely amazing!!! Same with white and pink lotus (the essential oils of both are amazing!!!! as is tuberose…as is osmanthus which in essential oil format is a complete perfume unto itself…fruity, floral and leather aspects…gorgeous! )….told ya it was too hard for me to answer this question!!!! Ooh yes Brigitte, I forgot about osmanthus! I had a sample of the absolute oil too and wish I could afford more, it had that mouthwatering quality and leather! I know. I too wish it wasn’t so expensive. Does smell great, though. Have you tried the Walimah from ALD? One of the best interpretation Champaca to my nose so far of my perfume journey. No I haven’t. Will add it to my list! LILAC! Great choice Brigitte and so unusual. I love to smell them IRL. Tough question!! I have to say jasmine sambac, though there are so many others up there – orange blossom, gardenia, rose, and linden blossom. I think my favorite jasmine is PPC Hindu Honeysuckle, closely followed by Nasomatto Nuda. oh yes ! Lime blossom (linden) and honeysuckle! Forgot about those! Love them too. I think I had a Hindu Honeysuckle Bath Oil and LOVE NUda! I panic bought when it was being DCd so I also have a backup. PHEW! Ah Jeez Louise, as Brigitte said, TOO HARD😣 But if I absolutely have to, then I’ll say tuberose and for the very reasons that you like narcissus. It can go from virginal white to total dirty girl in the blink of an eye and depending on how it’s blended. I have never seen tuberose in the wild, though, so only talking about it in perfume terms. One of my favourite tuberose perfumes was Annick Goutal Tubereuse. But I have many loves in this genre. Congratulations to Marcella. PPP for you, wohoo. That’s funny because for me Casablanca is all about orange blossom! No hope for me, my dear. Ah, you never know. . . I love most florals but have to say rose. My first rose fragrance back in high school was Perfumer’s Workshop Tea Rose. People told me I smelled like an old lady’s underwear drawer. And, I loved it. I went for the gut with the purest powerful rose and never looked back. My roses have bloomed since then into tons of rose frags. Love love love her. Comfort. I remember Tea Rose. A former administrator of mine wore it as her signature scent. One of the best roses out there. That Tea Rose is still amazing. After the first screechy minute it still blooms gloriously. YUM! And just thought of another… heliotrope….love it’s soft powdery comfort . Heliotrope is a beautiful one, I like it, too! It’s so delicate and powdery. If I were to go by number of bottles, it would be iris; however, I might cast a vote for a childhood favourite: carnation. There were rumours that carnation was going to have a moment in the perfume world – until that happens I will content myself with CdG’s offering. Wouldn’t that be a moment AnnieA! I’d like to see a carnation revival, it really doesn’t get much love these days. Did you ever smell Caron Bellodgia? A rosy carnation. HEAVENLY! Rose, violet and iris rule my heart and my collection, and I’d add matthiola to the list if I had more than only one scent with it (weirdly, it’s Elephant). I grew up in the countryside so I could say they remind me of that life but frankly, they just smell so good. Jungle Elephant? I love that one . I will need to research that floral as I have never heard of it. Yes, Jungle Elephant, I forgot that it has a longer name 🙂 I wish matthiolas were ubiquitous, they make summer evenings even better. I looked them up…they are very pretty! I bet they smell beautiful. I could not choose one favorite floral note because there are too many in combination that make the perfume. And I love so so many perfumes, butI don’t enjoy soliflores. If I really had to mention one floral note that is consistently in my fragrance loves, it is jasmine. Good choice Kathleen, and our first vote for straight up jasmine. I find that surprising as it’s so ubiquitous. Like so many, it depends on what time it is. For nostalgia, honeysuckle or orange blossom (my late lamented Eau de Camille and my lost home in southern California); for my husband, tuberose; and jasmine, just because. Sometimes it plays nice and others it goes squeaky and pissy. My favorite floral note may be iris but only when it gives lipsticky vibe. I do not enjoy it if it gives carrotty vibe. I like it both ways…sweet and lipsticky and also rooty and dry. Iris gives so many facets, roots, carrot, cardboard, bread or dirt. I love its chameleon character. Iris with violet a close second? Maybe? Although I love many more iris-centric perfumes than violet-centric ones. I think the latter are harder to do? I know what you mean, Amy. Violet scents can be too green or too sweet, or just “in your face”. That’s the problem with Aimez Moi, it is just too insistent on me. It’s awfully pretty though. Embarrassingly I’ve never smelt it. Will get on that ASAP. I was wearing yesterday and I think you might like it. I have always loved flowers as a kid and I adore osmanthus because my mother and grandmother used to scent the oolong teas with osmanthus and make sweet osmanthus cakes. However I have never found an osmanthus fragrance that is parallel to the actual flower blooming. I have two osmanthus trees at home. Other than that, I adore roses and iris, just because they are so elegant and timeless. Totally in love with Malik from Areej. I get about 5 hours of roses and just a tiny hint of oud. Would love more oud though. Last year Tara, Anna Maria and I were lucky enough to smell osmanthus in bloom at our Sydney Japanese gardens. Beautiful. While I love iris note in perfumery, and irises are one of my most favorite flowers, it seems wrong to consider iris a floral note since what’s used in perfumes is a product of the roots and smells nothing like any flowers… So, I’ll go with something else, and being stickler to the rules, I’ll go with just one note: linden blossom. It’s happy, sunny and carefree. And I still haven’t found perfume that catches it exactly as a full tree in bloom smells, but I have two favorites: Jo Malone French Lime Blossom (sadly, discontinued) and April Aromatics Under den Linden. I had the same thought about iris not really counting. I really like the linden note in Naja, but I don’t think I’ve ever tried anything that is primarily Linden. Linden is also known as lime blossom so maybe that changes things? Have you ever seen the hilarious Linden Blossom skit with Queen Victoria? I go through phases. Before my latest plot twist it was papyrus like in Zoologist Dragonfly and JS Fancy Nights. Overall though it would be hyacinth or LOTV (Kenzo Parfum D’Ete). Am actually surprised there’s a lot of love for hyacinth here, I didn’t think anyone liked it much! Hyacinth is YUMMY! So green and sappy yet fresh and lilting. Nice choice. Sorry, guys Papyrus is a plant not a flower – that’s a whole other conversation! Must be Neroli, i love almost any type of neroli blend :))) Can be so uplifting and bright and sparkling and it can also be creamy and sour-sweet in a very pleasant way. The sadly discontinued gem Fleur du Mal from JPG is one of my favourite neroli fragrance. Do you have the original or cologne? For me, that would be seasonal. I’d say in the hot weather it would probably be neroli, for the whiff of citrus it brings, without being overbearing. In the colder weather, I’d probably go for an earthy rose. Something like in Noir de Noir. Not girly, not pretty, but a deep and long-lasting scent that’s great for an elegant night out. You know I have Noir de Noir here somewhere but no memory of how it smells. Thanks for the reminder. Very hard question. I love flowers a lot. Credit goes to my mother. Her passion for gardening helped me a lot to learn different flowers since childhood. There are tons of good memories are stored in my brain with my family which are associated with the flower. I can not answer the question with one flower. It is beyond hard. My parents both love Jasmine (different varieties). For me, I do love jasmine but it was not the most loved one. During my childhood, there were three flowers that I used to adore- Kodom (Neolamarckia cadamba), Bokul (Mimusops elengi) and Shewly (Nyctanthes arbor-tristis aka Night-flowering Jasmine). After coming here in Australia I get to learn a lot about perfume hence perfumery. Then I absolutely fall in love with ROSE. The reason is, It really helps me calm my mind and soul. I am lucky enough to have some Attar Gulab or Ruh (heart/ soul) Gulab which is the pure rose oil. I just love the way it smells. Another reason to fall in love with Rose could be, I was not getting the three flowers that I have mentioned above. Rose was filling the gaps. It really helps me to calm my mind and soul with a touch of Mysore Sandal oil. I am really sorry I could not help myself. If it is just one then it has to be the Rose at this moment. But the other three can take over rose any day or they can be sisters. We need a catch up. We’ll. I have some goodies that I really want to share with you. Are you coming to the sniffy on Saturday 30th? Bring your wife. There will be an AFN crew here. I too love narcissus! Also lily of the valley, when done well, and hyacinth, and galbanum. Give me a green fragrance with one or more of those notes, and I am a happy perfumista. 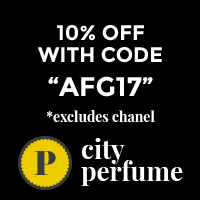 Penhaligon’s Ostara, Beaufort London’s Fathom V, Papillon’s Dryad, Chanel No. 19, Gucci Envy, Jacomo Silences, Oriza L. Legrand’s Muguet Fleuri, Balmain’s Vent Vert — love ’em. Ha! I’m wearing Ostara now, and have worn Fathom V, Dryad, AND No.19 in the past week. Twins! I really like Jo Malone Blue Hyacinth; to me, it had been the most realistic. But Chamade is great, of course, and Grand Amour. I really need to try Grand Amour. It sounds rather fabulous. I like Paul Schütze’s Tears of Eros: hyacinth, incense, and orange peel. And the hyacinth has that almost oily, peppery level to it. Delish! Oh, Ostara!! I’m so lucky I got a used bottle for very little money years ago. Here’s still snow, but definitely spring, +7 outside and sunny. Cannot use Ostara where I am at the moment, so sure it would be too much for several people! I really don’t want to provoke any anti-perfume people. How is your rehab coming along? Is movement improving now? I’m hoping for good news at the checkup in hospital tomorrow, but half expecting to be told not to put weight on the foot for another month! Sore muscles from being in a sitting position for too long, or from doing the same exercises every day. Crikey I wish you and OH could have tried 1000 Flowers Fleur no 1…sadly discontinued…it’s a bit like no 19 but softer and prettier..and it has narcissus and hyacinth as the florals…I am fairly certain that Portia did a review either here or on the Posse. and I am laughing because I found it to be a tamer version of no 19 whereas I think the onset of it is much less tame to Portia’s nose. Sorry, love. I am hoping that Jessica resurrects Fleur no 1….it was just so darn pretty…for me slightly more “accessible” than no 19, if that makes sense? don’t get me wrong, I love no 19 but my nose saw Fleur as it’s younger sister. OH we often have such similar loves. YAY! Does Saffron count, its a crocus? For me it would have to be orange blossom if I have to pick only one. Love the delicate perfumes with orange blossom as well as the warmer,more robust take by Serge Lutens. Orange blosdom plays so well with many of my favourite green notes and citrus. I also love jasmine in different blends and the not too carroty irises. But I think I have yet to meet orange blossom I dislike, Seville à l’aube is stunning.